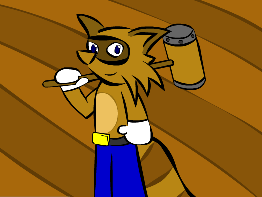 Raccoon Sam is a member who joined the MFGG forums on September 6, 2005. He is widely known for his extreme graphic/sound ripping and is one of the most helpful rippers on the main site. He rips stuff and likes to play Cave Story. He is also a member of Team Heart Attack. This page was last edited on 4 May 2015, at 01:30.